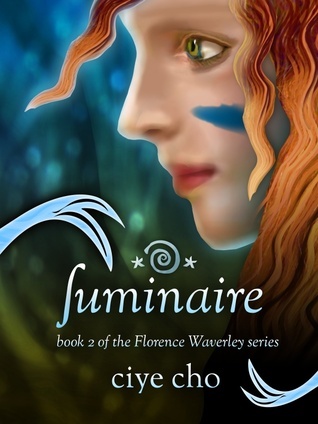 Luminaire is the sequel in the Florence Waverley series by author Ciye Cho. After reading Florence (Book #1) this summer, I was anxious to see what was next for these characters! Luminaire starts off after Rolan's coronation. Rolan is now the king of Niemela and Kiren is gone, but not all is right for Florence. Rolan has suddenly become distant and she now has to battle her way through the Life Path tournament so she can find her purpose, and prove to herself and all of Niemela that she belongs in this mermaid world. Florence is a very different character in Luminaire. Unlike the first book, she is a lot stronger and confident in Niemela Florence seems to be pretty sure that Niemela is where she belongs, and it is evident she is trying her hardest to prove that in Luminaire. I loved seeing her do the things she knew she had to do, even when someone like Rolan was convincing her not to. She's able to stand up for herself, and I really respect that in a character! I will admit, Rolan was making me go a bit crazy in Luminaire The distance he was stubbornly building between him and Florence was at first confusing, but became clearer throughout the course of the book when we got the chance to see small glimpses into Rolan's mind. Although there wasn't much physical affection going on between him and Florence, you could definitely tell their love was present (specifically towards the middle-end of the book). Their love story is sweet as sugar, and reaches a really good place at the end of the novel. Although Kiren didn't have a huge presence in Luminaire, I am very confident that after reading the ending, we will definitely be seeing him in book three. At the end of Florence, I had a feeling that there would be some love-triangle action in this book, and even though Rolan and Florence's relationship is developing, I still feel like there may be some unfinished business between Florence and Kiren that will be explored in book three. There was a lot more action in Luminaire compared to Florence. The Life Path tournament allowed for lots of action/fighting opportunity that made the novel move along at a nice pace. There were lots of surprises and challenges that Florence and some other characters had to face, which added a bit more excitement! "What do I look like to you?" I asked. "You look radiant. Luminous," he replied. I tipped my head to the side. "I'm not talking about the paint." "Neither was I," he said. For better or worse, this was my home now. Overall, Luminaire was a quick and entertaining sequel that I believe was even better than the first! This unique, mermaid setting continued to intrigue me and makes me want to further explore this world by finding other mermaid reads! I did not predict for Luminaire to take this story route, but I ended up really enjoying it and am looking forward to the next novel! 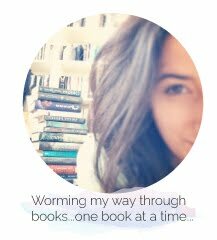 Have you read Luminaire? What are some of your favourite mermaid books? Be sure to let me know in the comments below! Keep Reading! I love the world created by Ciye Cho. I read both books and I agree with you about Luminaire having a lot of more action than Florence. I adore Florence, she is a really sweet character. I was so surprised that I actually liked the mermaid storyline-- I haven't read many, but I'm thinking of trying Of Poseidon out soon. Florence + Rolan = perfection. Wow so many people have read this one! I agree, I'd rather there not be a love triangle...but for some reason I feel like if Kiren comes back, there might be. I'm just speculating though.